Heating oil prices are at their lowest level since 2009, and are expected to continue to drop. 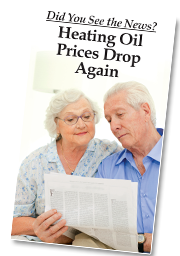 The EIA predicts heating oil prices will remain low for at least the next few years. 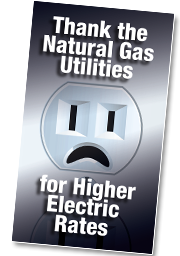 Natural gas rates are on the rise and expected to continue increasing for the foreseeable future. Many companies, including Exxon, are looking to export natural gas in the form of LNG (liquid natural gas) overseas, which could raise domestic gas prices as much as 14%. When renewable, domestically-produced biodiesel is mixed with ultra-low sulfur heating oil (ULSHO), the resulting Bioheat® fuel can produce even lower emissions than natural gas. In fact, according to a recent NORA report to Congress, B2 Bioheat® fuel (2% biodiesel) blended with ULSHO produces lower emissions than natural gas over 20 years, and B15 Bioheat® fuel produces lower emissions over 100 years. On the other hand, natural gas is 95% methane, and methane is as much as 28–84 times more damaging to the environment than carbon dioxide. 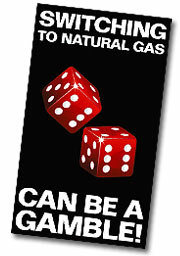 There are millions of miles of natural gas pipelines producing methane leaks. It could cost between $4,500 and $10,000 to convert from oil to gas. 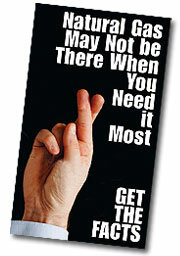 At today’s price levels, it could take you more than 45 years to recoup the cost to convert your heating system! These figures DO NOT include additional costs to run a gas line, line your chimney, and remove your oil tank, nor do they include the plumbing, electrical and landscaping work that may be required. Upgrading to a new, high-efficiency heating system costs just a fraction of the cost of a gas heat conversion and could lower your energy bills by 30-40% or more. U.S. crude oil production is currently at its highest level since 1973. In 2014, the U.S. overtook Saudi Arabia and Russia as the world’s leading crude oil producer. Thanks in part to increasing domestic oil production, the U.S. could become completely energy independent within the next two decades. 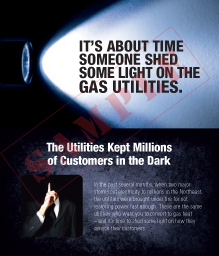 The utilities that sell gas are often publicly held, foreign-owned corporations that operate in multiple states or even multiple countries. Most Oilheat companies, on the other hand, are local, family-run businesses. They employ local people, contribute to the local economy and participate in community service. Biodiesel and Bioheat® fuel create thousands of U.S. jobs throughout the entire production and distribution chain. According to a recent study, biodiesel production supports $16.8 billion in total economic impact, more than 62,000 jobs, and $2.6 billion in paid wages. Money-saving rebates and incentives are available to help you stay with safe and comfortable Oilheat. Not ready for a complete upgrade? 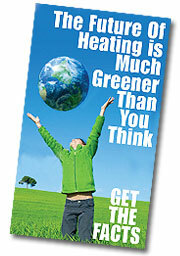 Ask about installing a “smart” burner or boiler control or programmable thermostat to help you save energy and money. Homeowners can also save on electricity by choosing a furnace with an ECM blower motor that adjusts the blower speed automatically to match the demand for heat. DON'T CONVERT YOUR FUEL. CONVERT YOUR THINKING. For more information on these points or other questions about switching your home heating fuel, talk to your current Oilheat dealer. Here's where AEC members and supporters can get valuable information on today's energy issues - to educate company team members and customers alike. Check back often for our growing list of helpful resources. This free 60-minute video is a valuable educational tool for training your CSRs and covers many frequently asked questions. 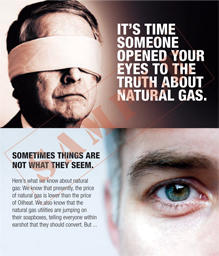 Give your company's customer service representatives the facts and information they need to know about Oilheat and natural gas so they can help customers make the right choices. View it now by logging in or requesting access. Don't have a password? Request access here. To download the AEC logo click on the link, right-click on the image and Save Image As.